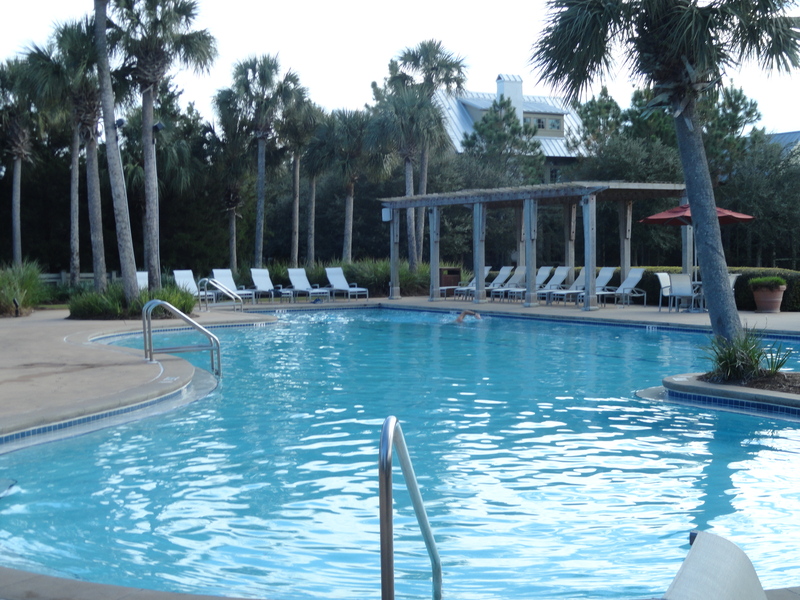 Watercolor has done a fabulous job strategically positioning pools throughout the community. 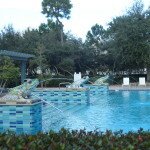 Each phase has its own unique pool with special features. The pools are all 4 feet deep due to insurance liability reasons but they are all still refreshing. 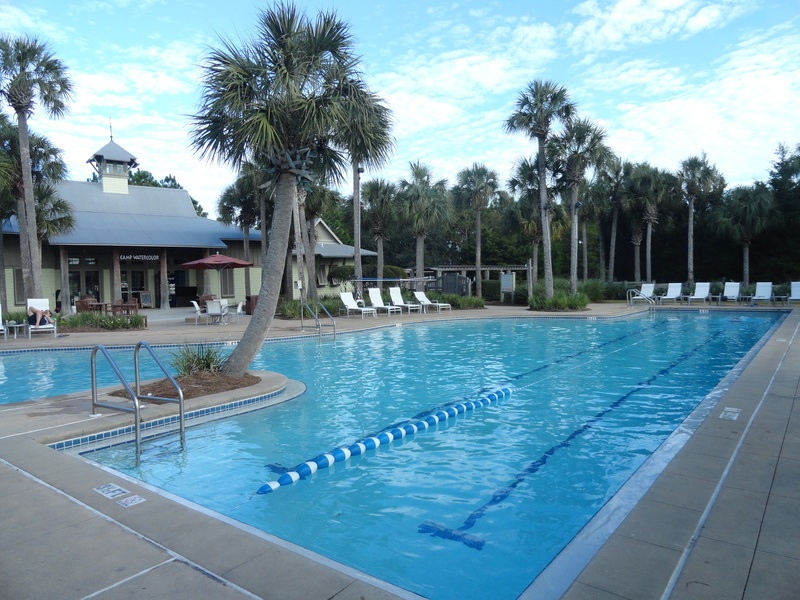 Each pool has private restrooms, music and towel service (during season).Phase 1 offers the Beachfront pool, The Boathouse pool and owners use of the Watercolor Inn pool, Phase 2 has the Camp Watercolor pool which is heated year round and has a lap lane. 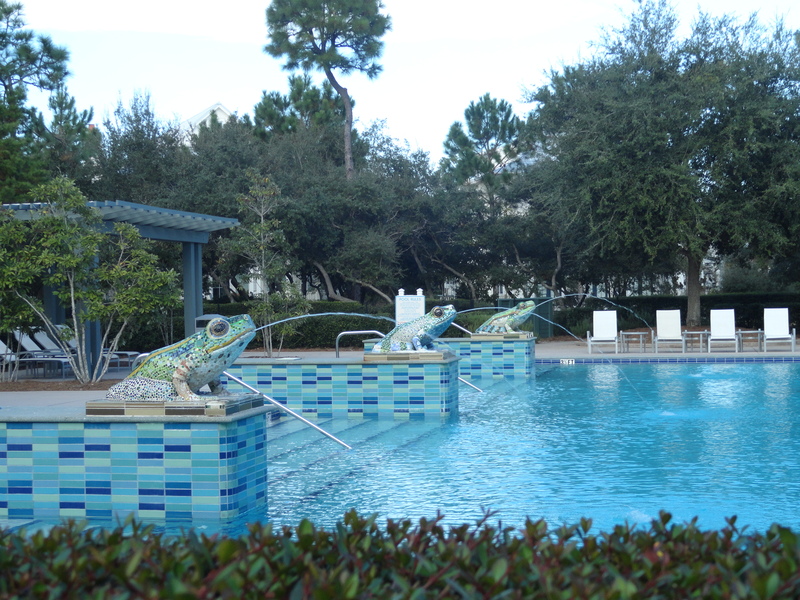 Phase 3 offers the Sand Hill Circle pool, or what we call ” The Frog Pool”. Phase 4 offers the Dragonfly pool. 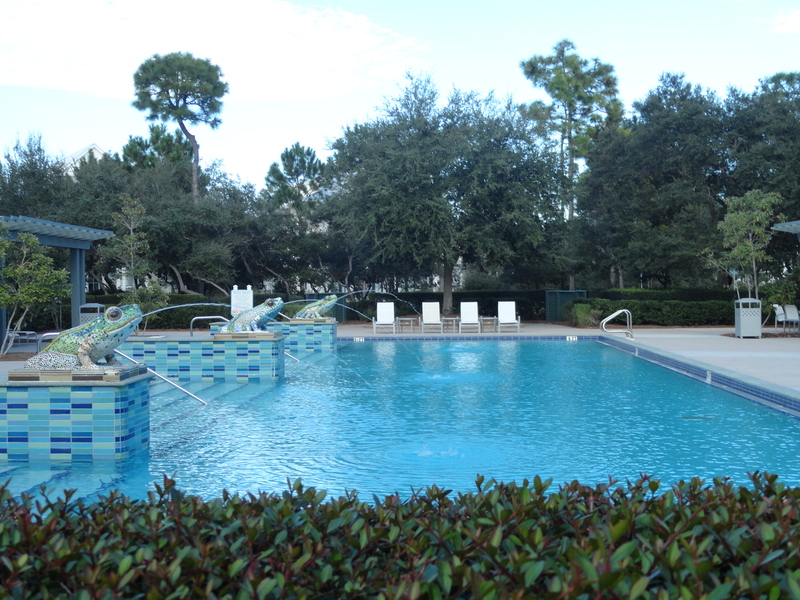 Each pool anchors its own phase but is accessible to all owners and guests no matter where you are staying. 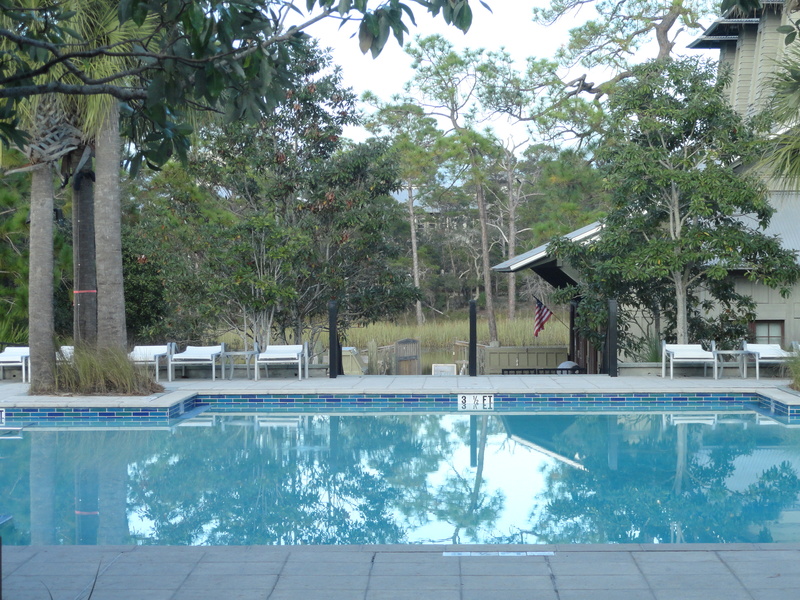 The Dragonfly Pool has an outdoor grilling area for family cookouts. 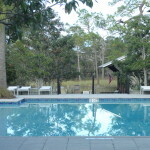 The Frog Pool has a great green area with a swing set and an area to set up a badminton net. 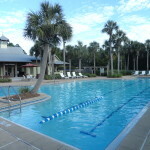 The Camp Watercolor pool has the day camp attached so it is usually packed with smaller children and parents. The Boathouse pool seems to be a little quieter but is conveniently located at the foot of the Cerulean Park pedestrian bridge. 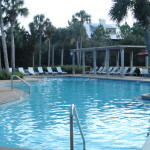 The Watercolor Inn pool is adult only with beverage service available. 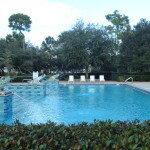 The Beach Front pool has poolside service, great views and many other amenities.